I know I've shared this before but it's really cool. 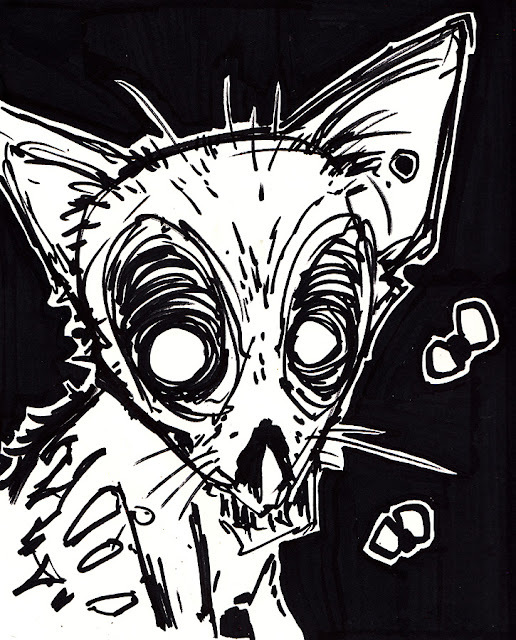 Drawn with the fattest sharpie I could find ... this skull head zombie cat is now in search of it's forever home ... and a name. It's lonely, with only the flies to keep it company. How long will this kitteh search? Who will adopt it? To be perfectly honest, I wouldn't mind keep this one around for a long time. 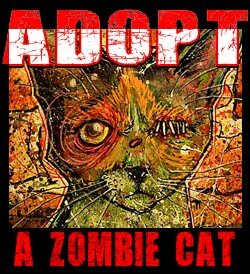 It's a large 9"x12" high contrast zombie cat. It just pops out at you.